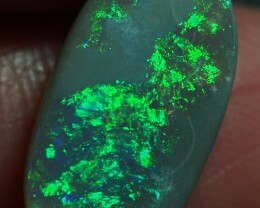 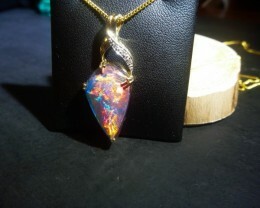 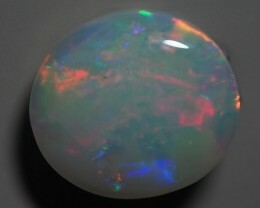 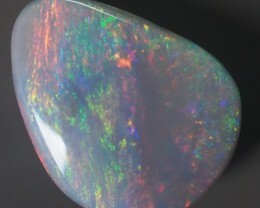 Those two semi-black opals are from one stone. 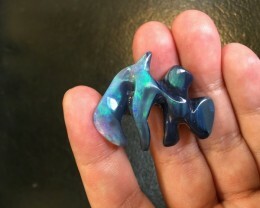 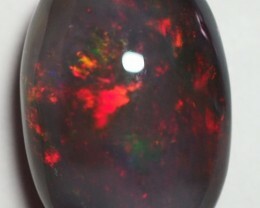 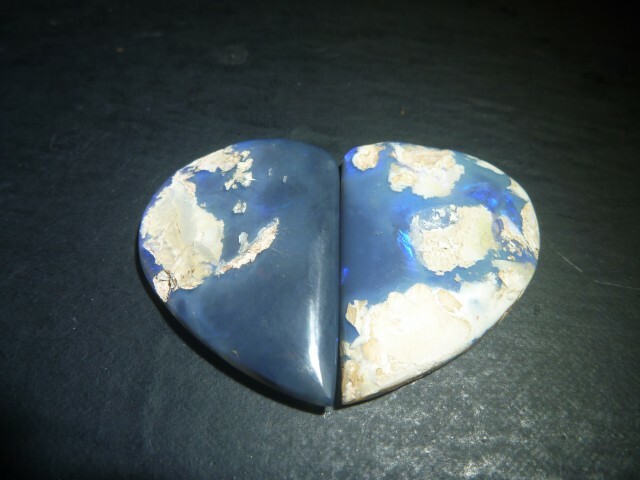 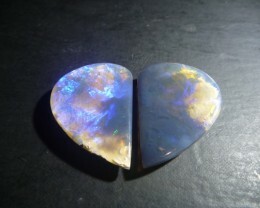 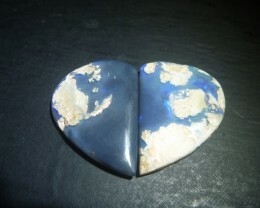 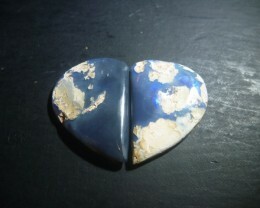 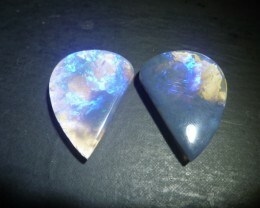 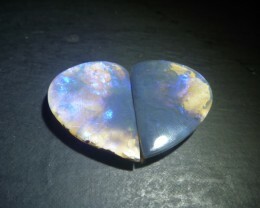 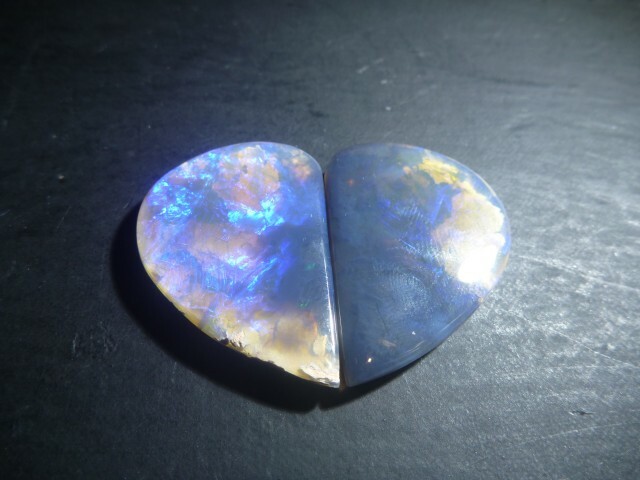 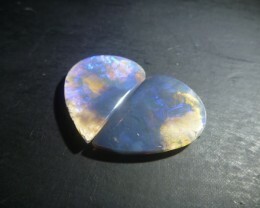 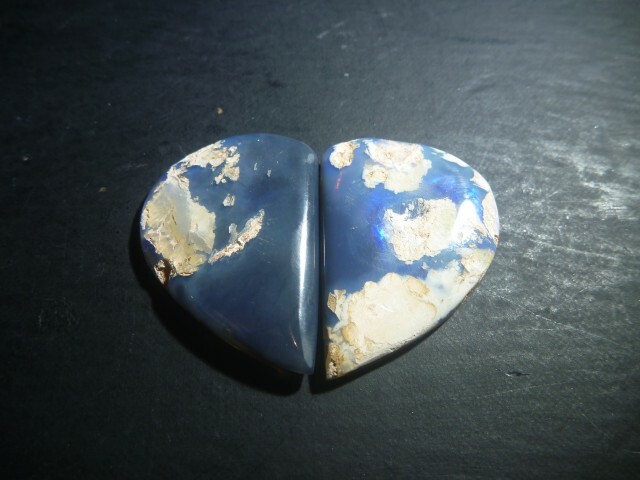 It has been cut in half and we found those two similar semi-black opals. 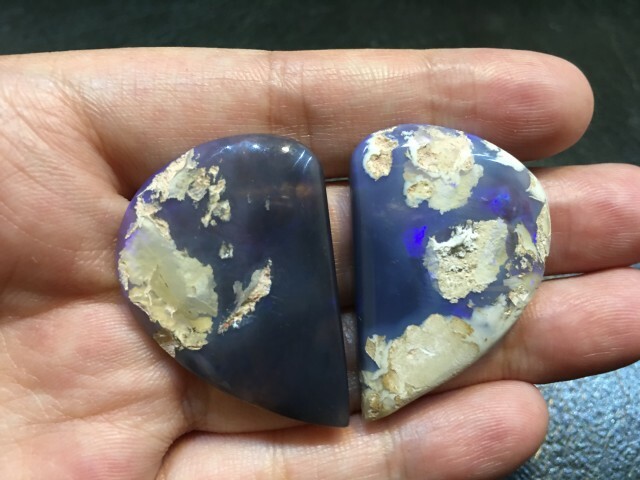 We cut and polish them into half heart shape. 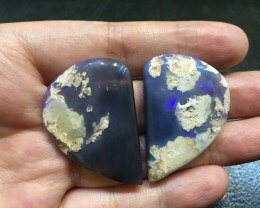 When they are combined, there is a heart shape. 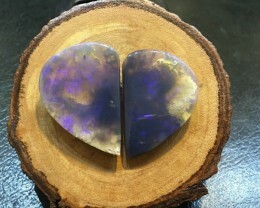 The weight is 67.6 Ct all together.